The GrillKicker™ adds real bbq flavor to anything on your gas,electric, even charcoal bbq grill. For real bbq flavor on your charcoal, gas, or electric grill use the Grill Kicker. 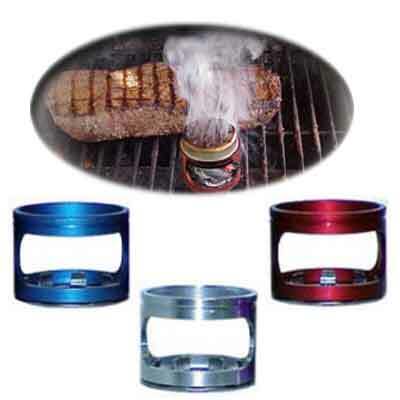 Easily bbq steaks, burgers, and add real bbq flavor to anything on the grill.No electricity needed!